It is said that any time evil begins to thrive in the world, Saints, the upholders of justice, will appear. Now is such a time. Thirteen years before our tale begins, Mitsumasa Kido, head of the powerful IGF (International Garrd Foundation), came across a dying man while vacationing in Greece. Touring the ruins near the Pope's holy sanctuary, Mitsumasa found Airos, the gold saint of Sagittarius, gasping his last breaths and muttering warnings of sinister forces that threaten the stability of the world. 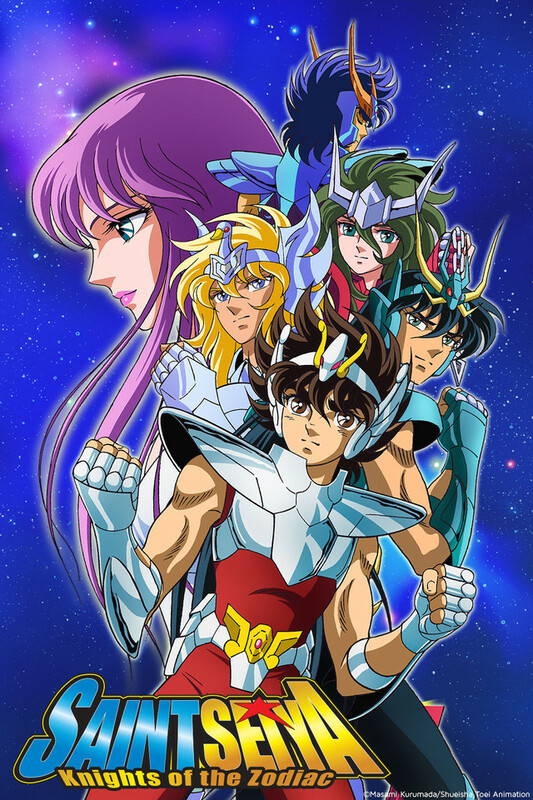 Fulfilling the dying saint's wish, Mitsumasa swore to protect the life of a special baby that Airos had saved from assassination and agreed to safeguard the magical gold armour of Sagittarius. Mitsumasa was true to his word and raised the baby as his own granddaughter, Saori, and kept the gold armour hidden until the time was right for someone pure of heart to wear it.